We are a Bulgarian Law Firm established in 2007 in the city of Plovdiv. From the moment of its foundation Damyanov Law Firm has developed a reputable practice as one of the leading independent law firms providing professional legal services and consultation to our clients. We are a team of young professionals well grounded in the Bulgarian and European law. In our law firm we work in an international and multilanguage environment. Our primary commitment has always been the devotion to giving legal assistance and representation of the highest quality to our clients. In our law firm we understand the value of the time for our clients so using the newest means of communication and the latest IT technologies we provide an opportunity for our clients to have more free time leaving the legal isuues of their own company to our competence. The attorneys at Damyanov Law Firm advise on general business and corporate law, primary practice areas are company and property law, EU law, employment, tax law. 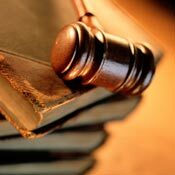 The attorneys have also experience in litigation before courts and arbitration panels. We act in close cooperation with reliable accountants and tax advisers and we are in a position to give a competent advice also on this matter as well as to provide full accountancy services to our clients covering all of their needs.